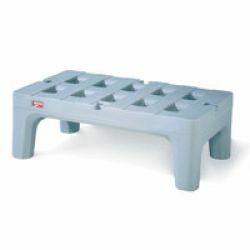 When you have large, bulky items that you need to keep up off of the floor of your establishment, dunnage racks are the right choice. 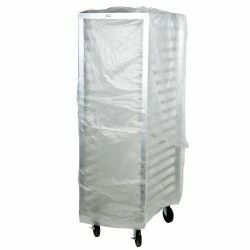 Ideal for cardboard boxes of supplies, and ingredients you store in bulk such as flour and sugar. 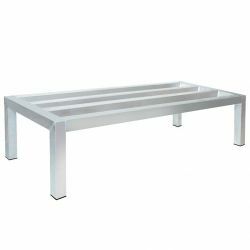 Constructed from durable materials like aluminum, stainless steel, and heavy-duty polymers. 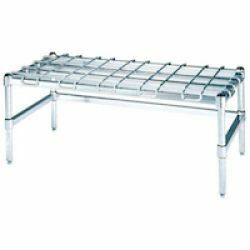 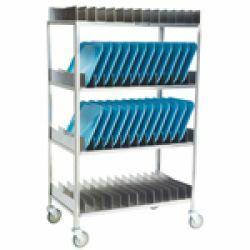 For both storage and transport of either empty or loaded sheet pans, bun pan racks can make things more efficient. 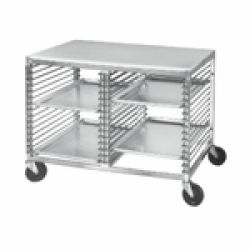 Add a rack cover to improve sanitary conditions and to protect empty sheet pans. 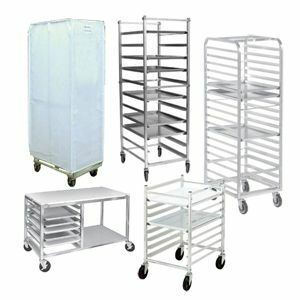 Sheet pan racks are also ideal for storing of completed breads, cookies and other items in a reach in or roll in refrigerator or freezer. 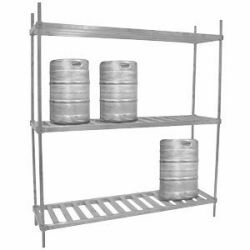 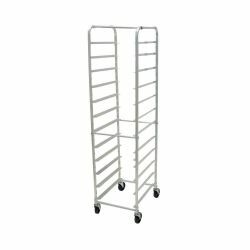 If you are looking for a rack that is specific to a certain task such as holding canned goods, beer kegs, or fry baskets, you need a specialty rack. 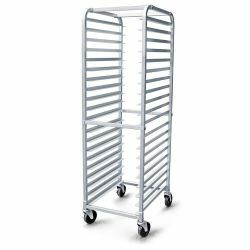 From lug racks to donut screen racks and more, we have a large variety of racks to meet your needs. 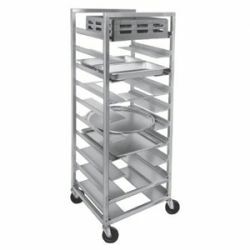 These wall mounted racks are designed to get your pots and pans up and out of cabinet storage and within easy reach of cooks and chefs. 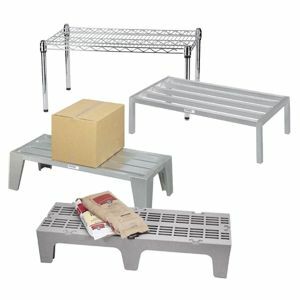 Durable construction and easy to install. 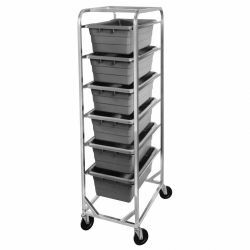 Available in several lengths to meet your pot storage capacity requirements. From dunnage racks built to keep bulk items off of the floor to wall mounted pot racks for keeping pots and pans accessible, and every kind of foodservice rack in between, we have them. 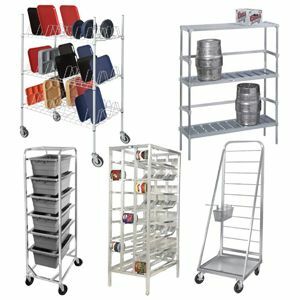 Sheet pan racks for bakeries and pizza parlors, drying racks for the dishwashers, keg racks for the bar, and can racks for your dry storage area. 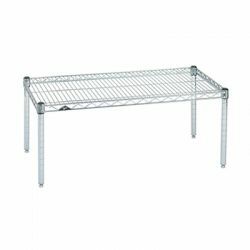 Storage racks are the solution to your organizing issues.